Today I read a fascinating article written by Matt Garner of Longboard Public Relations. It is a fascinating account of how most business decisions are made at an emotional level rather than analytical. He provides some very interesting examples from the business and sports worlds to justify his point. I found this interesting because it resonated with me but I also think it is something that we are afraid to admit. I had an amazing gentleman meet with me today that was considering relocating his family to the SLC market and was looking for feedback as to whether or not it was a good business decision. After going through many of the quantitative business reasons for making the move it became apparent that this decision had probably already been made (because it felt like the right decision) and we were now looking to back that decision up. It makes me wonder how a better understanding of that process might change how we approach decision making to make sure that we’re charting the right course. The link to the article is directly below. Please check it out. I have also included the text below the link for your convenience. Matt’s contact information can also be found in the link. I base this theory on decades of experience being part of “business decisions” made in the military and in private business. I also base this on some physiology of the human brain. “Business decisions” are all logic and spreadsheets and course-of-action briefings and course-of-action comparisons and finally after all the sensible pro’s and con’s are reasonably laid out and rationally organized, one person comes along and makes a decision—based entirely on emotion. Logic and reason and language all reside in the prefrontal cortex portion of the brain and that area loves CPA’s and engineers and spreadsheets and the process-heavy deliberation of the Military Decision Making Process. The only problem with the prefrontal cortex in relation to decisions is that we actually make decisions in the limbic portion of the brain; which has feelings and emotions, but no ability for language, let alone spreadsheets and courses of action. Now there may have been spreadsheets and pro’s and con’s but the ultimate decision came down to a feeling. I also believe that the logic and reason and spreadsheets are all used to JUSTIFY the decision AFTER the decision is made. Let me give you another example from the Utah Jazz. This one is Gordon Hayward’s free-agent departure this summer. Once the free-agency period opened on July 1st, Hayward met with the Miami Heat, the Boston Celtics and the Utah Jazz. There is a lot of confusion about how it all went down and the decision to leave Utah but there are two interesting bits that apply to our discussion. Great and wonderful. Take the emotion out and make a “business decision.” Again, this is all prefrontal cortex logical stuff right? Take the emotion out, get the reason in, and make a business decision! But he didn’t. He didn’t make a business decision, he made an emotional decision. Even after trying to convince other people, and perhaps even himself, that it was a business decision it came down to emotion. What’s the evidence of that? I offer one sentence from Hayward’s own mouth. Take the emotion out and make a business decision. I understand that both of these examples are sports related but I’ve seen the same thing in the business world. And you will realize that you have too, once you start looking a little more closely into why decisions are made. Sometimes, you don’t even have to look that hard because it is so obvious that even a naked mole rat, the tunneling hairless rodent that has notoriously poor vision, can see it. The key to effective communication is that you must focus on how decisions are made. And it’s not logic and reason and it’s not a list of all of your features and benefits. “No appeal to reason that is not also an appeal to a want can ever be effective. Our chief task, really, is to arouse the more important but slumbering wants into action. In every situation, in short, the human individual is moved by a multitude of wants, of most of which he is not even conscious.” — H. A. Overstreet. 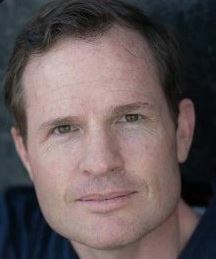 Matt Garner is the founder of Longboard Public Relations and a retired US Army Public Affairs Officer. Longboard PR specializes in helping companies and individuals tell their story through written and spoken words, photos and video. We regularly teach classes on public speaking, as well. Message me or comment for information on our next class or for a specialized course for you and your company.